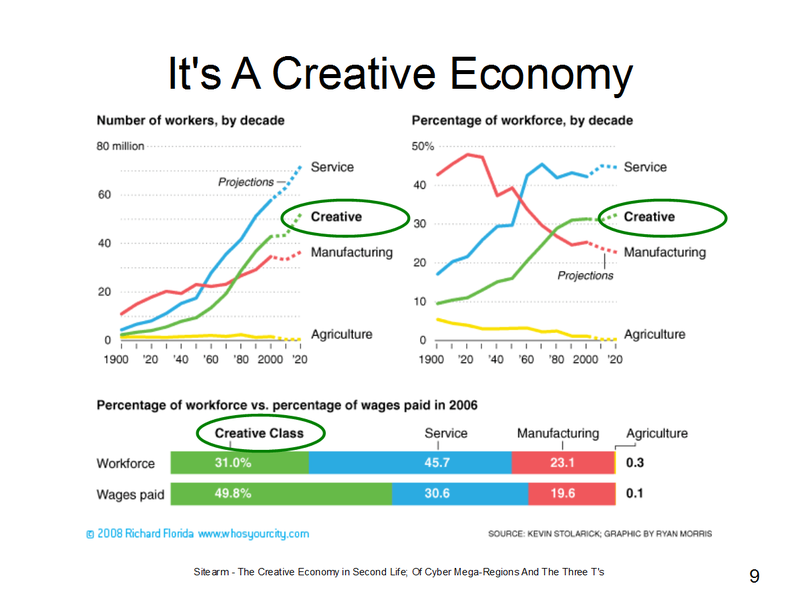 Second Life, like the real world, can be looked at as an emergent creative economy. 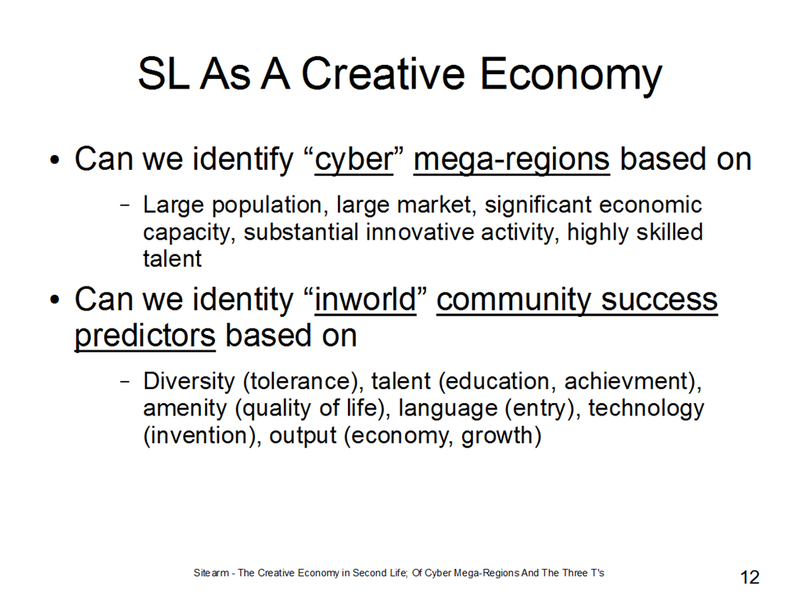 This presentation, given at SL8B and SLCC 2011, applies economic insights from the Real World to Second Life. 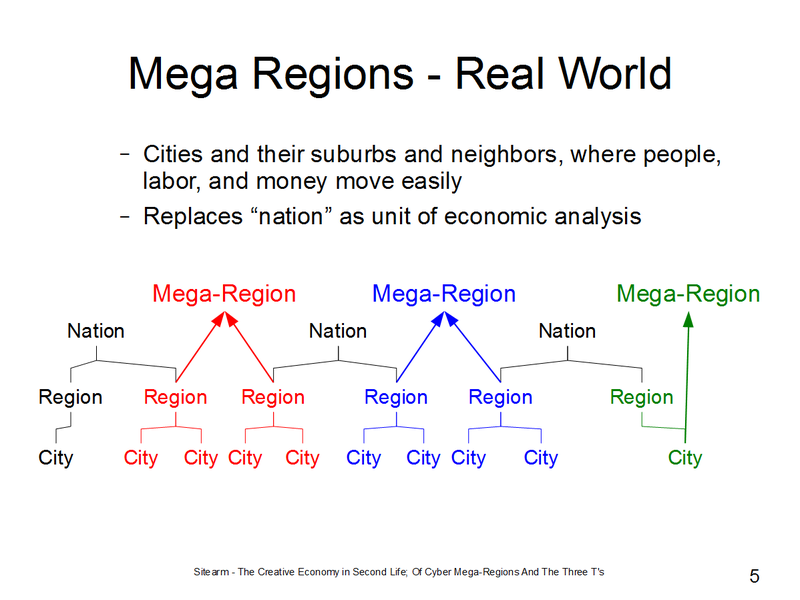 Using the published works of Richard Florida, whose work this blog reported previously (Oct-2010), the presentation examines the concept of real world mega-regions and whether there are equivalent “cyber” mega-regions in Second Life. 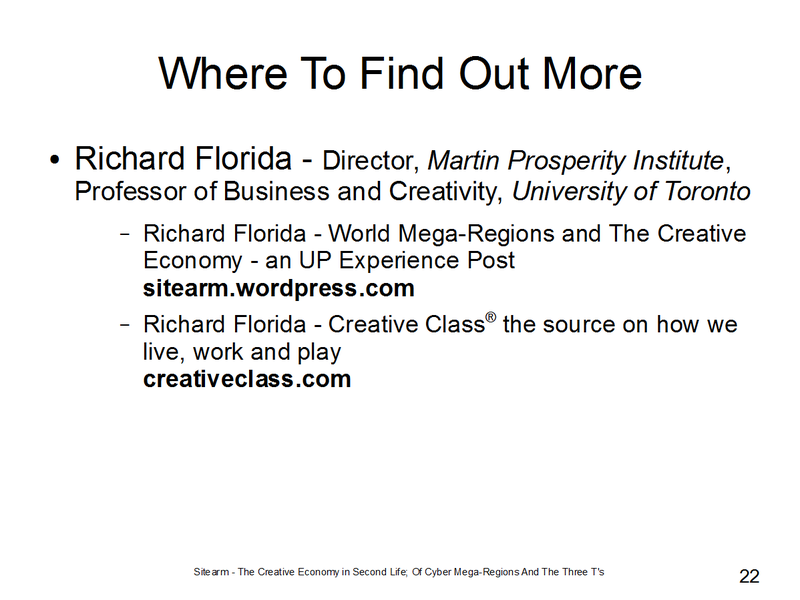 The presentation further examines real world predictors of success, the three t’s; technology, talent, and tolerance, validated in studies of U.S., Sweden, and China. 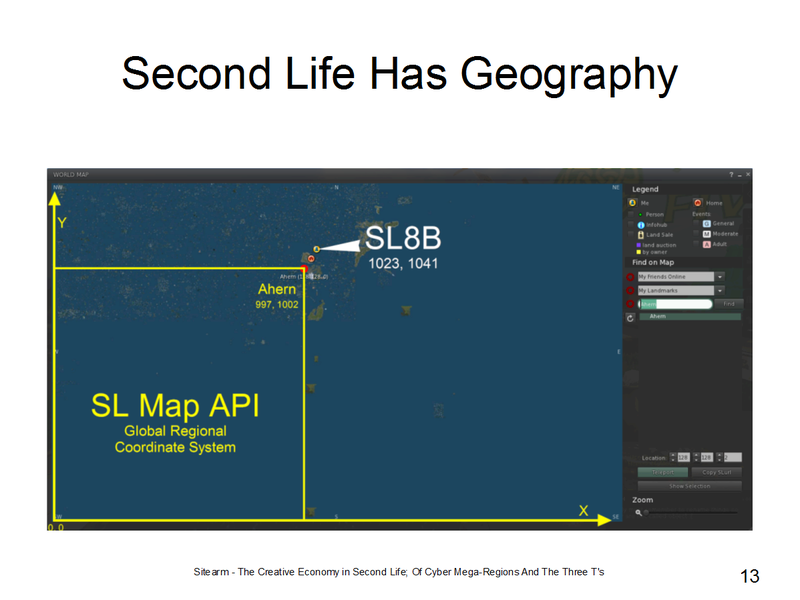 The presentation addresses whether there are equivalent predictors of success in Second Life. 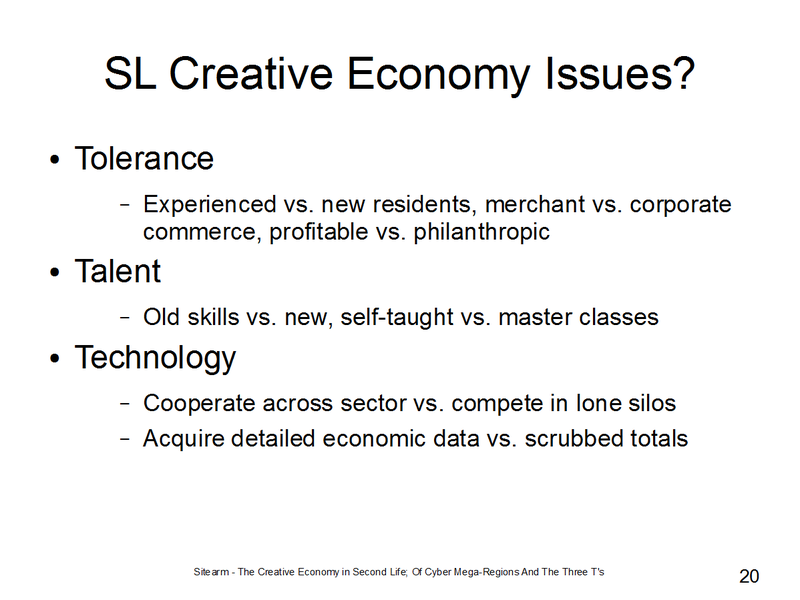 This presentation concludes with a summary of initial reflections and Second Life creative economic issues / opportunities that might be resolved through increased awareness.